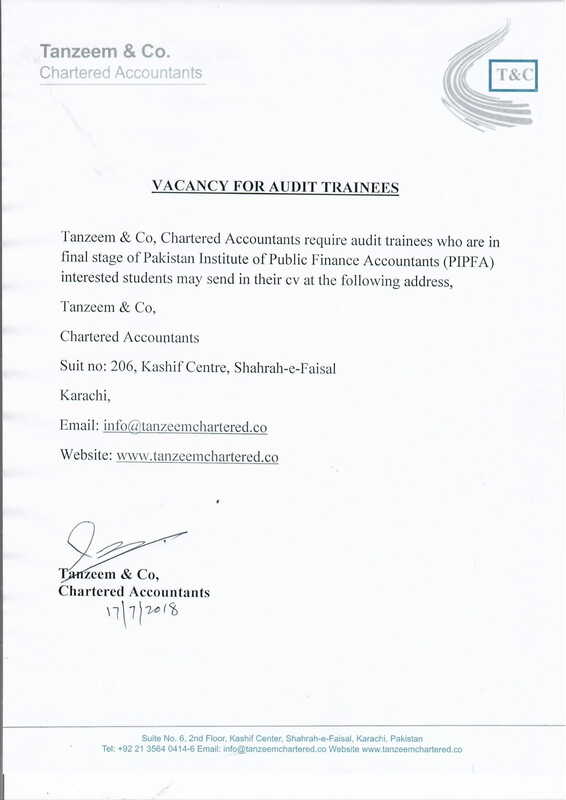 PIPFA Qualified Audit Trainees Required at Tanzeem & Co., Karachi. 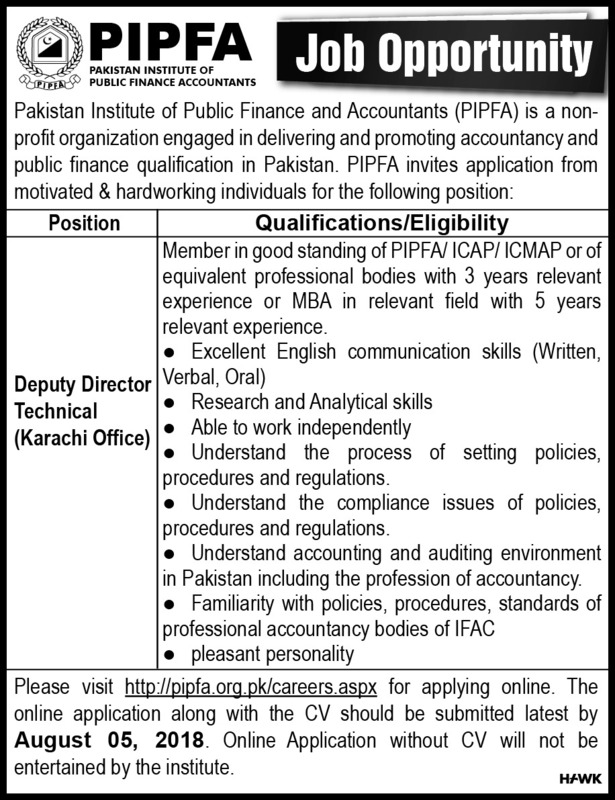 Avanceon MEA announces multiple positions for PIPFA Qualified and Members for its Lahore office. 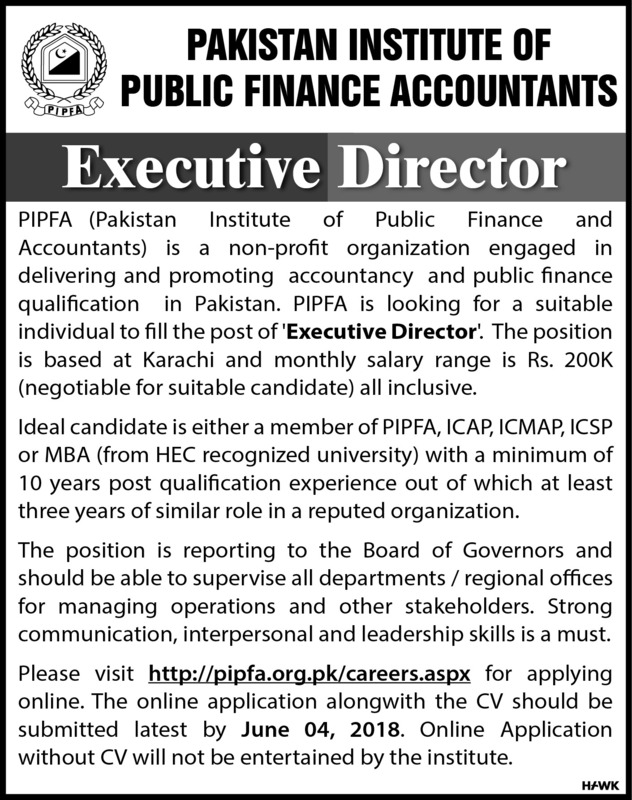 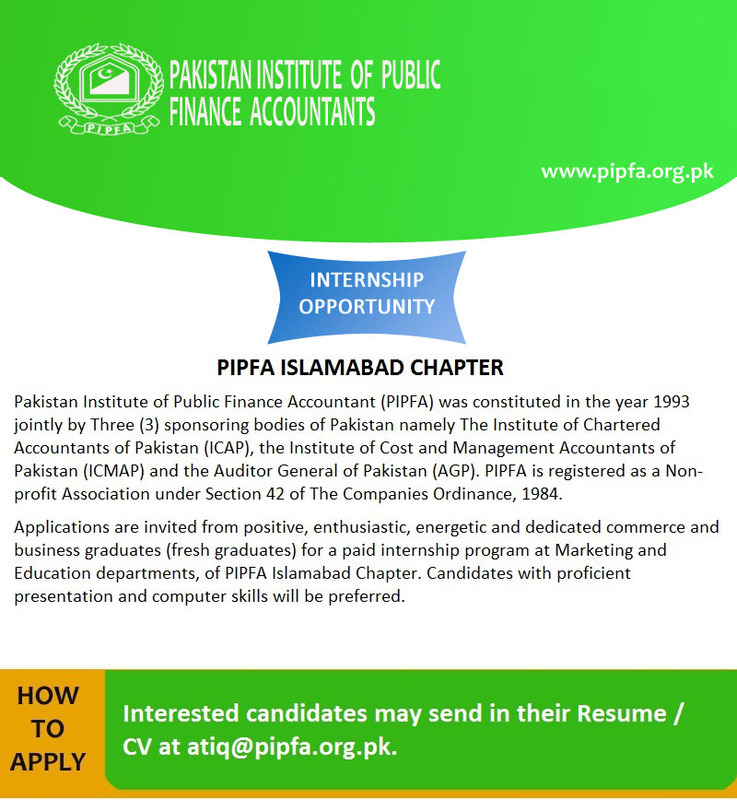 Internship Opportunity at PIPFA Islamabad Center.